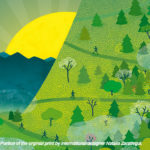 WIN AN OVERALL OR AGE CATEGORY AWARD? Or you can pay shipping fees to have it mailed directly to you. The medals are quite heavy so the flat rate fee is $12. Click here to have your runner trophy mailed to you. 10:00am: Anthem Star K award ceremony on Elmwood Park Stage. 12:00pm: Half Marathon award ceremony at Elmwood Park Stage. 2:00pm: Full Marathon, Double Marathon & Relay award ceremony at Elmwood Park Stage. All Marathon, Half Marathon, and Star K finishers will receive a commemorative finisher’s medal. Age group awards will be presented for the 10k, half marathon and full marathon to the top 3 male & female finishers in the age groups. 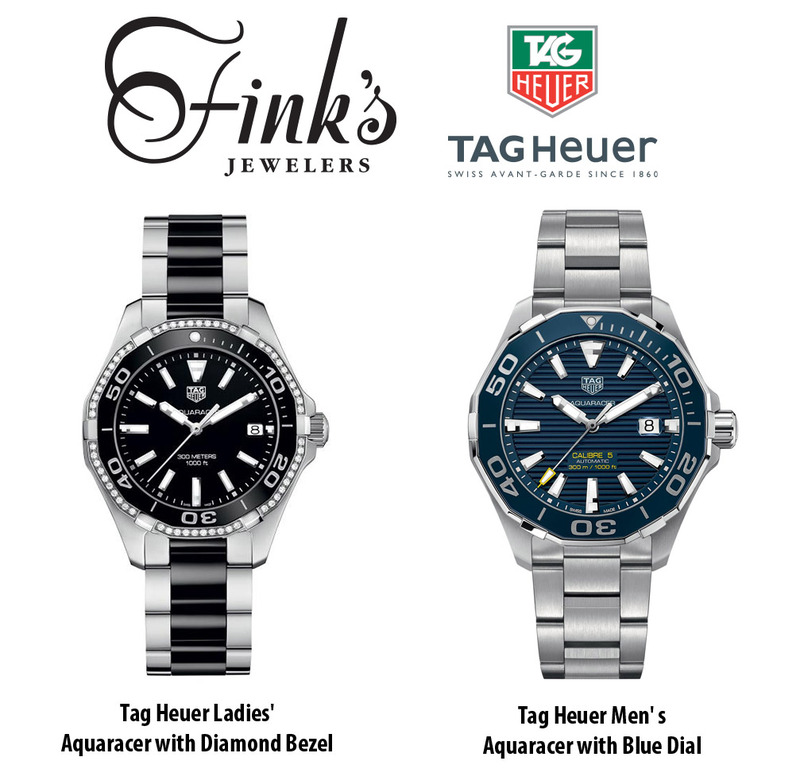 Fink’s Jewelers & Tag Heuer are teaming up to provide exquisite watches for first place overall male & female in the full marathon. See the awards section below for details. For many, a watch is not an accessory… but a necessity. It’s something you wear everyday and rely on. Whether your lifestyle is hectic, with every hour scheduled – or you have the luxury of leisurely passing time day by day, the fine Swiss timepiece you wear is a reflection of who you are. Head to Fink’s (2 Locations in Roanoke) and shop their watch boutique for the best selection of top-of-line watches. They also house the best selection of engagement rings, David Yurman, Tag Heuer and more. Fleet Fleet Roanoke has been selected as one of the Top 50 Running Stores in the country, and proves their worthy of the title over and over with hundreds of classes and community outreach programs throughout the year. The owners Blaine & Robin are an integral part of the running community in our region, and are dedicated to creating a healthy, active lifestyle for everyone in our region. Walkabout Outfitters is known for their friendly staff whose personal love of the outdoors is infectious to everyone around them. With five locations in Roanoke, Richmond, Harrisonburg, and Lexington they have been helping people pursue their outdoor dreams in Virginia and beyond for over 10 years. They have generously offered 6 gift certificates which are valid at all five locations for all of the HALF marathon top finishers! They will be vending onsite at the finish festival, and their downtown Roanoke location is just a two minute walk from the finish line, go by and say hello! Foot Levelers specializes in products that are designed to improve your quality of life. From our individually designed Stabilizing Orthotics, to our customized footwear and support pillows—we want you to live a pain free and healthy life. We can improve your overall health by supporting your foundation—your feet. By stabilizing and balancing your feet, Foot Levelers’ orthotics enhance your body’s performance and efficiency, reduce pain, and contribute to your total body wellness. With our orthotics, you can live your life in balance. The top two overall male and female finishers for the 10k, half marathon, full marathon and double marathon will receive a pair of custom orthotics. FloydFest is a FIVE-day celebration of music and art nestled in the beautiful Blue Ridge Mountains of southwest Virginia! Bridging the gap between genres, generations and cultures, the festival features over 100 performers on 10 stages! Second place overall male and female finisher of the Blue Ridge Marathon will receive a pair of five-day passes to FloydFest. 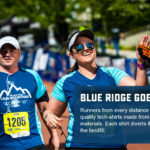 Boco Gear– Six lucky finishers will receive a custom Blue Ridge Marathon BOCO custom hat. Their technical trucker is a a BOCO original thanks to a team of Pro Triathletes and Runners putting this trucker hat through the paces. A technical trucker hat combines the look and attitude of a trucker hat with performance fabrications making this hat the go to favorite on the tri and run scene today!! Train, Race, Hang out, repeat. 1st place Female: Receives a Tag Heuer Aquaracer Quartz Movement with diamond bezel and black dial ($2,400 value) watch from Fink’s , a $100 gift card from Altra Running, a pair of custom Foot Levelers XP3 orthotics for extreme athletes, a BOCO gear Blue Ridge running hat, and a Metal Spike Runner Trophy. 1st place Male: Receives Tag Heuer Aquaracer Automatic Movement with blue dial from Fink’s ($2,650 value), a $100 gift card from Altra Running, a pair of custom Foot Levelers XP3 orthotics for extreme athletes, a BOCO gear Blue Ridge running hat, and a Metal Spike Runner Trophy. 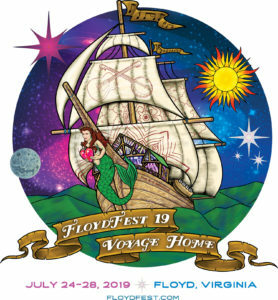 2nd Place Overall FULL: (male & female overall) Both receive a pair of five-day passes to FloydFest ($600 value per pair-FloydFest is a five-day celebration of music and art nestled in the beautiful Blue Ridge Mountains of southwest Virginia! Bridging the gap between genres, generations and cultures, the festival features over 100 performers on 10 stages! ), a BOCO gear Blue Ridge running hat, a pair of Blue Ridge custom socks, and a Metal Spike Runner Trophy. 3rd Place Overall FULL: (male & female overall) Both receive a $50 Gift Card to River & Rail Restaurant, a pair of CEP Compression recovery socks, a BOCO gear Blue Ridge running hat, and a Metal Spike Runner Trophy. First Team Overall- All four team members will receive a $50 gift card from Altra Running, a pair of Goodr sunglasses and a Metal Spike Runner Trophy (1 per top relay finisher). 2nd Place Overall HALF: (male & female overall) Both receive a $50 gift certificate from Walkabout Outfitters, a Trigger Point massage stick, a pair of Balega socks, a pair of Goodr sunglasses and a Metal Spike Runner Trophy. 3rd Place Overall HALF: (male & female overall) $25 gift certificate from Walkabout Outfitters, a pair of Goodr sunglasses, goodies from Fleet Feet Sports Roanoke and a Metal Spike Runner Trophy. 2nd Place Overall 10K: (male & female overall): Both receive a $50 Gift Card to River & Rail Restaurant, a pair of Goodr sunglasses and a Metal Spike Runner Trophy. 3rd Place Overall 10K: (male & female overall)- Both receive a pair of CEP Compression recovery socks, a pair of Goodr sunglasses, and a Metal Spike Runner Trophy.